George Rogers Clark Memorial is the largest national monument outside of Washington, D.C. The memorial is located on the site of the former British Fort Sackville which was captured by Colonel George Rogers Clark and his army of 170 frontiersmen and Frenchmen. Tours are available during hours of operation. The park's Visitor Center is handicap-accessible and features exhibits, gift shop, and a 30 minute movie presentation. Unfortunately the monument is not handicap accessible. 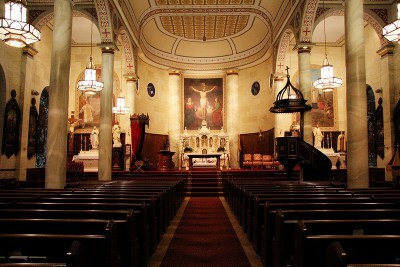 The current Old Cathedral was built in 1826 and stands on the site of three previous churches. The first was a log structure built in the 1700's where the first Catholic parish in Indiana was formed. Four bishops are buried in the crypt of the current Cathedral and the cemetery is the final resting place of over 4,000 early citizins of Vincennes. Open daily self-guided or guided tours 8:15am-4:45pm. 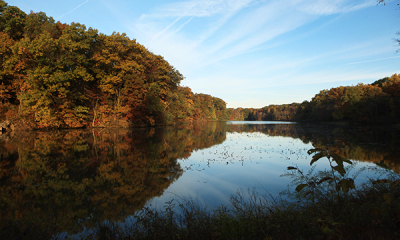 Red Hill State Parks sits on carefully preserved and maintained 967 acres of high wooded hills, deep ravines, captivating meadows and year-round springs. Red Hills State Park offers hiking trails, equestrian and bike trails, seasonal hunting programs, and shaded picnic areas. The Red Hills campground features more than 100 campsites, with online reservations available at www.reserveamerica.com . Red Skelton Museum is a 3,500 sq. ft. fully interactive Museum. Visitors of all ages will experience the fun along with Red with exhibits featuring his physical comedy, vaudeville, radio, television, film, creative genius and moreThe Red Skelton Museum is open Tuesday-Saturday 10-5 and Sunday Noon-5.